What is real ale? How can a beer be more real than another beer? An ale is a beer fermented with ale yeast, a type that floats on the top of the beer and works best at slightly warmer temperature. This is in contrast to lager yeast, which tends to be on the bottom and works best at cooler temperatures. The “real” difference comes in after the beer has finished fermenting. 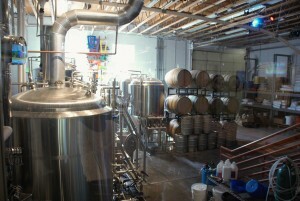 Once a beer is ready to package and sell, usually it is filtered and/ or pasteurized, packed in a keg and shipped out. The carbonation comes from pressurized CO2, just like a soda. However, real ale is packaged like home brew and the beers of old, it is not filtered or pasteurized, and is cask conditioned. This means that a small amount of sugar is added to the cask as it is filled. The remaining yeast then ferments this sugar and adds natural CO2 to the beer. Because it isn’t pressurized, real ale has to be pumped out of the cask for serving, usually by means of a hand pump. It is also served at cellar temperature, which is around 55 degrees Fahrenheit. For the drinker, the difference is very noticeable. The hand pumped beer has a softer, smoother feel to the normal stuff. The warmer temperature enhances some of the malt and hop flavors and contributes to a very different experience. It can be an acquired taste though, not everybody enjoys the warmer, flatter beer. The term real ale came from the UK, and a group called the Campaign for Real Ale. As the traditional practice of cask conditioning fell out of favor, they worked to keep it alive. There efforts succeeded and real ale has not fallen into extinction. 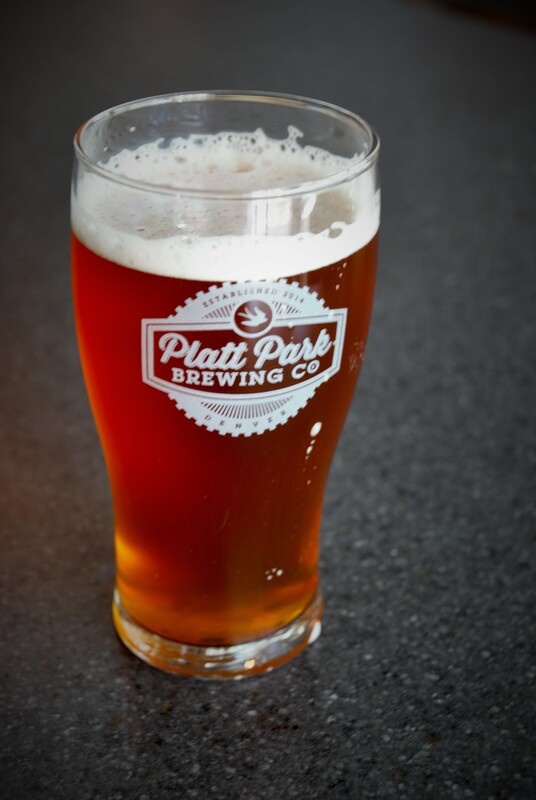 One of the many new breweries to pop up recently is the Platt Park Brewing Company. Not only are they very close to my current domicile, but they also have a real ale on tap. The hand pump rotates between real ale versions of their regular line up, and I have really enjoyed walking down to find out which beer is on. Last week it was a special version of their Tropical Snow Dance IPA. I liked the “softer” feel of the natural carbonation. Even if real ale isn’t your thing, Platt Park has a lot of great beers on tap. They are one of very few local breweries to regularly produce a lager, with their take on the Vienna Lager style. This is a style that I have a fondness for! They also had a very interesting cream ale called Madagascar Dream. Enhancing the smooth creaminess was a dose of vanilla and the use of nitrogen instead of carbon dioxide for pressure. This was a lovely beer that was very drinkable, almost dangerously so! 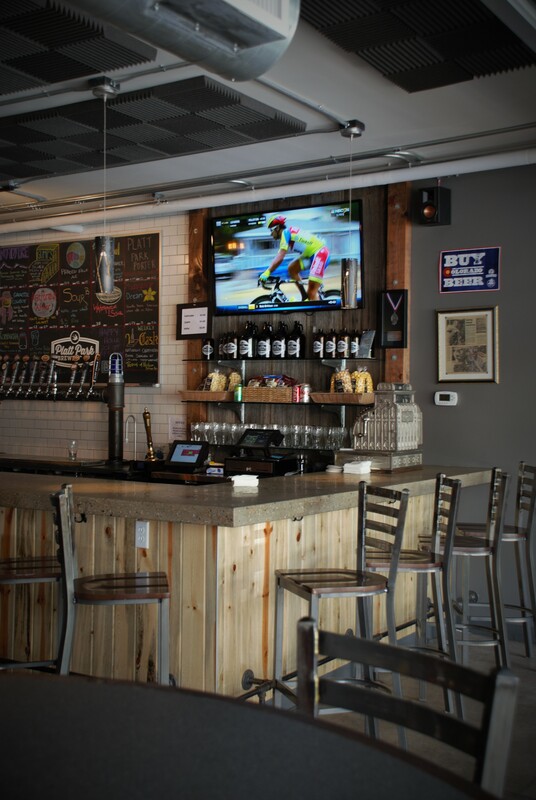 One thing that I love about the current profusion of small craft beer breweries and bars is the opportunity to drink great beers with a great many styles and methods. It is wonderful that I can walk to a brewery that offers a real ale, a beer on nitro, as well as plenty of regular old CO2 beers. Have you tried a real ale? What did you think? 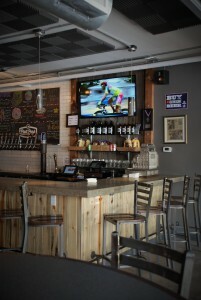 This entry was posted in American Beer, Bar Guide and tagged Cask Conditioned Ale, Hand Pump, Platt Bark Brewing, Real Ale. Bookmark the permalink. Platt Park’s Real Ale looks lovely, but I really can’t wait to try that Madagascar Dream! Nitrogen is my preferred carbonation style–such a different smoothness from Real Ale.